Christine Waltermyer is a Certified Wellness Coach, specializing in Clean Living and Holistic Parenting. She is also the founder of The Natural Kitchen Cooking School and a published author. 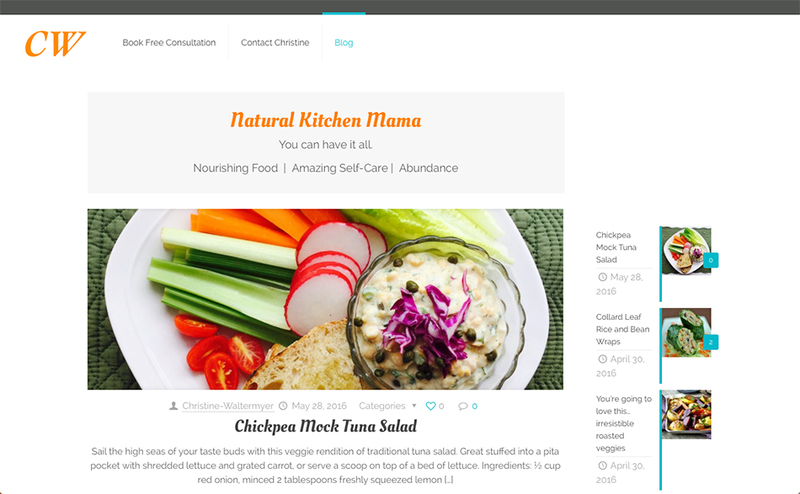 Christine brings together her 15 years of experience as a chef and cooking teacher together with a passion for holistic living to empower her clients with the tools for a great life. Christine needed a quick, and simple site for her consulting business and she needed it, like ‘yesterday’.